The graph of a quadratic function is given. Determine the function's equation. Find the coordinates of the vertex for the parabola defined by the given quadratic function. Find the axis of symmetry of the parabola defined by the given quadratic function. Find the range of the quadratic function . 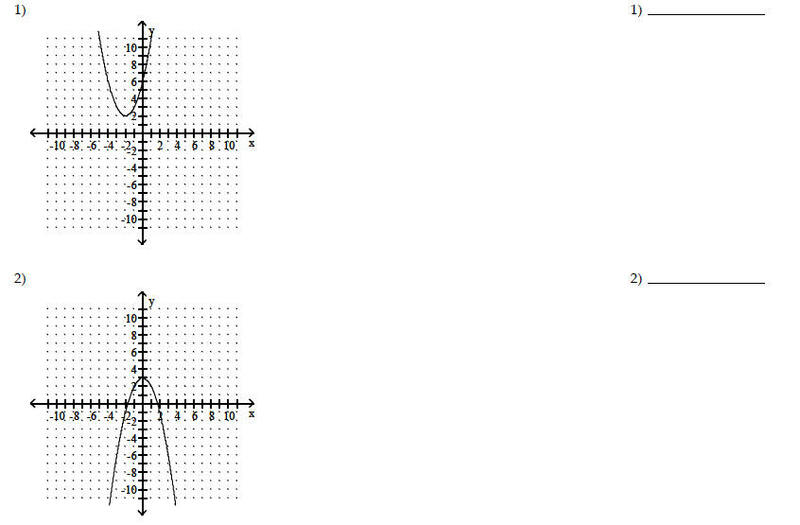 Find the x- intercepts (if any) for the graph of the quadratic function. Find the y- intercept for the graph of the quadratic function. Determine whether the given quadratic function has a minimum value or maximum value. Then find the coordinates of the minimum or maximum point.